Since moving to the ‘burbs, I’ve been slowly trying to convert on this fantasy I have of backyard sustainability. I planted blueberry bushes and a small veggie garden this summer, and I’m planning for some grape vines. Next on the list is an apple tree. I absolutely love picking apples in the fall and always enjoy making this irresistible apple sauce recipe I found in my grandmother’s cook book. So I’m itching to plant an apple—but fruit trees, I know, are not for the faint of heart. They require careful planning and diligent care. If you’d like to harvest apples in your very own yard, here’s what you should consider before diving in. Most planting happens in spring, but if you live in a region where fall and winter weather is mild and moist, planting in the fall can be very successful, too. Each apple variety has a different hardiness level and requires different chill hours (when temps are between 32 and 45 degrees F). Check with your local extension office for recommended varieties in your area. – You plant two apple trees of different varieties that bloom at the same time. – You have a relatively close neighbor with a crabapple or apple tree of a different variety that blooms at the same time. 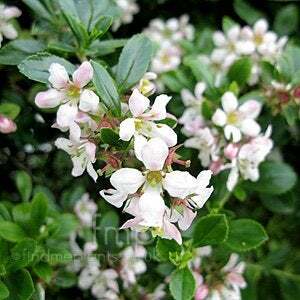 – You place a cut branch in a bucket of water from another variety at the base of your tree when it flowers. Bottom line, do your research on bloom times for varieties you are considering or that you know are in your area. That way, you’ll have the best chance of successful cross-pollination. Apples need at least six hours of direct sunlight a day for best fruiting, so plant in full sun. 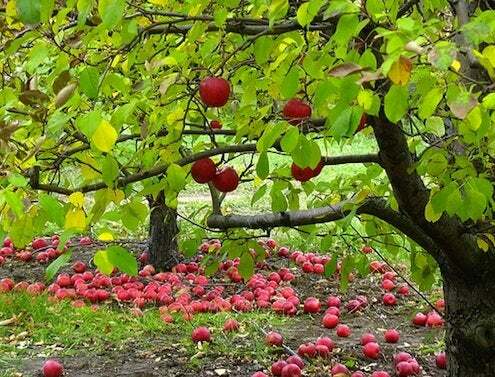 Apple trees also need well-drained soil that is moderately rich and retains moisture and air, so mulch with an organic material after planting. Apples are prone to pests and disease and require constant care and attention. Most need to be sprayed every 10-14 days to deter insects and fungus. Be prepared for the commitment, or be prepared to go organic and know what to expect. You can help yourself some by choosing disease-resistant varieties. Pruning and thinning are also extremely important. The saying goes, “You need to dig a $100 hole for a $10 tree.” So, go for the gusto. 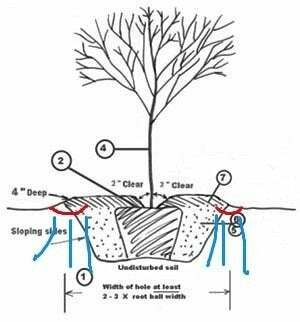 As with planting other types of trees, dig a hole about twice the diameter and about a foot deeper than the roots. You want the bud union (where the scion meets the rootstock) to end up about 2″ above ground. Apply water as you fill the hole back in (to help remove air pockets). Add your soil amendments in at the same time. Water well again after transplanting is complete and apply a 2-4″ cover of mulch to keep moisture in and weeds at bay. There’s a lot more to know about growing apples, more than could be included in this post, so if what you’ve read here interests you, do your research. There is a wealth of information available online, at your local extension office, and at nurseries everywhere. Let’s meet up for a good old-fashioned apple festival next year. I’ll bring the apple sauce! Not sure what type to plant? Browse 8 Disease-Resistant Apple Tree Varieties to find the best (and most delicious) species to grow in your climate.